Saturday, April 20 & 27 @ 1-4 p.m. This is a two-part class. Get inside the creative process and practice of artful weaving with expert textile artist, Maggie Thompson. Learn from demonstrations and discussion about technique, tools, design, and the intersection of textiles as fine art and wearable goods, then pull inspiration for your own creations from the art on view in the museum’s galleries. All experience levels are welcome. Scholarships are available on request for half and full tuition on a first come, first served basis. Classes are free at the M for Native community members. Contact info@mmaa.org or call (651) 797-2571 for more information. Teaching artist Maggie Thompson (Fond du Lac Ojibwe) was born and raised in Minneapolis, MN. She received her Bachelor of Fine Arts in Textiles at the Rhode Island School of Design in 2013. As a textile artist and designer, she derives her inspiration from her Ojibwe heritage, exploring family history, as well as themes and subject matter of the broader Native American experience. Thompson has exhibited at institutions such as All My Relations gallery, Minneapolis Institute of Art (Mia), and Plains Art Museum. Her work is in the permanent collections of the Minnesota Historical Society and Mia. 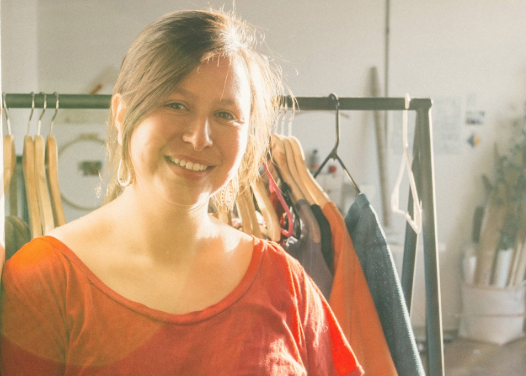 Thompson runs a small knitwear business, Makwa Studio, and is also an emerging curator of contemporary Native art.